Uber. Boost. Deliveroo. If these companies have taught us anything, it’s that entrepreneurial flair mixed with practical skill can turn a great idea into a booming business. From bringing ideas to life to examining the balance sheet, here’s your chance to get a real-world understanding of the many factors that come together to make a business work. The ins and outs of business – from management to marketing and everything in between. It’s a hands-on, commercially focused degree, offered at our Peninsula campus. You’re interested in how businesses operate on different levels. This course covers the foundational skills required to make any organisation run smoothly, and is a great option for students hoping to start up their own business one day. Learn the technical skills you’ll need to work in accounting across the public and private sectors. You’ll build a skillset that includes financial accounting, management accounting, corporate finance, taxation audition and financial analysis. Learn how to approach the unique challenges facing organisations today, and grow your leadership and management skills. This major lets you choose units from other majors to craft a degree that’s tailored to you. So if you’re a budding entrepreneur, it might just be the kick-start you need to get your own business off the ground. Learn how money, banking, credit and investments work in today’s society – and build the skillset you need to manage them successfully. This major will teach you how to develop financial policies and products, solve complex financial problems, manage risk, conduct forecasts and set up budgets. With more ways to connect with consumers than ever, understanding the complexities behind effective marketing is essential for any business. This major will give you the know-how to create and implement successful marketing strategies in any context. Learn to look at an organisation from the outside, and critically evaluate where better management could make a difference. You’ll learn the finer details of management theory – including business communication, project management and professional development – and how to put that theory into practice. With the BBA at Peninsula, you can study at one of the top 100 universities in the world, right on your doorstep. We understand that learning happens in many ways – and not always in classrooms. As the largest business school in Australia, we can offer you access to a wealth of co-curricular opportunities to put your learning into practice. As part of your degree, you can study overseas, learn from industry leaders, and gain hands-on professional experience with an internship or industry project. Graduate with a CV full of experience and be one step ahead of the competition. Let us help you get started on your University education journey with a $5,000 grant in your first year ($2,500 per semester). The grant is being offered to eligible domestic students who would like to commence the Bachelor of Business Administration in 2018. Good news – there is no need for extra paperwork. You do not need to apply for this grant directly. Applicants will be automatically assessed based on information provided to VTAC and notification about the grant will be provided at the time of offer. A number of conditions will be considered during the grant assessment process including academic merit, living in the local area, LSES and under-represented groups. With a range of practical skills, you’ll be able to jump into a career with an established organisation or even start your own business. Depending on your major, you might find yourself working in accounting, financial or business management, economics, or marketing – here in Australia, or across the globe. 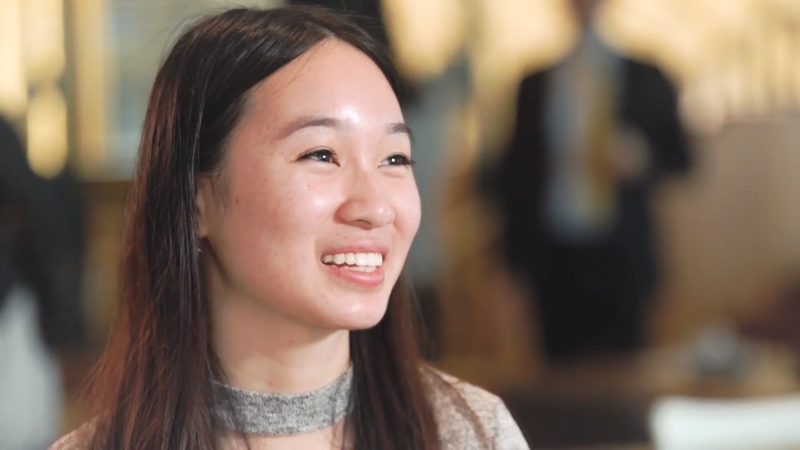 Jenny Hoang shares the benefits of studying with Monash Business School and tips on how to get the most out of your degree.